From survey to inspection, Topcon Positioning Systems, Inc., utilizes and employs innovative positioning technology and machine control automation systems to give surveyors, civil engineers, construction contractors, equipment owners and operators a competitive edge. Topcon remains unparalleled to any other company within this industry through adamantly addressing critical issues such as boosting profits, quality craftsmanship, improving productivity, lowering operating costs and ensuring jobsite safety. Though its primary headquarters is located in Tokyo, Japan, the majority ofitsadministrative operations and IT “heavy lifting" is achieved in Livermore, CA. Due to Topcon’s large corporate global scale, ensuring uniform performance throughout its infrastructure presented a challenge. 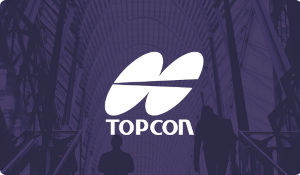 However, more important was the need to build on the established best practices designed by Topcon’s IT team. The ability to automate certain time-consuming manual processes including Exchange status checks and other daily management tasks into a real-time analytics would allow the proactive team to further improve efficiencies. According to Kris Cowles, Topcon’s senior director of IT, the concept of continuous improvement was a central factor in directly addressing messaging management challenges such as risk mitigation, labor distribution and time management. The importance of email and other messaging components, especially among many of its remote users, made searching for a consistent and proactive method to monitor, respond and report potential slowdowns and outages critical for maintaining the daily progress of business. Topcon’s search for a monitoring and reporting management tool became top priority as the company continued to expand and needed to maintain the visibility necessary to achieve the goal of 100% uptime. Ernie Vega, one of Topcon’s head system administrators stated the company always aims for 100% uptime for its multiple Exchange servers stressing that “any outage, even a five minute outage, is huge.” Outages not only affect productivity, but also create a domino effect impacting sales and operations, and potentially mask larger IT issues. According to Vega, the crux of the issue is “not knowing it’s coming until it happens.” With thousands of users scattered across the globe; many rely on email as their primary or only means of communication. The only way to keep ahead of the growth and remain proactive was to find ways to phase out manual processes. These processes, which included an inordinate amount of custom scripting, provided effective visibility, but because of the significant time commitment did not always provide the real-time response across a global environment. The ultimate challenge was to find an automated solution flexible enough to scale across a complex, multi-national enterprise, fast enough to provide real-time visibility, and detailed enough to get in front of potential productivity-disturbing issues. Topcon sought to find a solution that encompassed both monitoring and reporting components. One of Mailscape’s key selling points was its user-friendly dashboard which continuously monitored Exchange servers and provided real-time results. “The dashboard is huge for us. Easy to understand. Easy to read. If something (a KPI) is yellow or red everyone can see it immediately,” Vega said. Mailscape’s one-look dashboard provided Topcon’s IT team with the visibility to solve issues before end-users could be aware of them or before they steamrolled into system-wide problems. The real-time, at-a-glance functionality reduced the time from discovery to resolution by nearly by a third. More importantly, it was providing visibility across a broader environment. As such, it reduced Topcon’s risk exposure. “Real time monitoring is a big component of risk avoidance,” Pouteau said. He noted that although previous processes were effective, the delta between manual processes and ENow’s automated features reduced the time a problem could escalate and become more problematic. Its quicker visibility and response times allowed the team to be even more proactive than ever. The dashboard not only provided high level indicators of Exchange’s general status (daily health checks), but allowed technicians to drill down and find the root causes considerably faster. Recently, administrators were alerted to an issue that the queue length was exceeding average peak usage. More distressing was the length continued to rise. The red indicator light on the dashboard (displayed on two central monitors) was quickly detected. The email system was grinding to a crawl; nearly a 27 minute delay in delivery. Drilling down, IT found that a remote user was not only exceeding quota, but processing emails at rate considered as spam by any service provider. Mailscape allowed the IT Team to act quickly, solve the email traffic issue and provide proper guidance to the individual user. In terms of support, Vega noted the above-and-beyond availability of ENow’s support team. He stated that when there were questions or issues, an experienced team member was always available—whether at 6 in the morning, or 10 at night, and equipped with meaningful insights. Since implementation, Topcon has met its goal of 100% uptime. According to Pouteau, the biggest improvements have been the ability to perform daily administrative tasks for Exchange and Active Directory without having to add personnel hours or reprioritize workloads. In fact, the status checks and automated alerts let the IT team address other high-value tasks and service innovation while still providing peace of mind that Topcon’s communication servers were working at optimal levels. But, it is not all about the now. Pouteau said, “With ENow we have everything at our fingertips, and can easily generate the reports that provide key data and analytics.” Mailscape’s comprehensive reporting helps Topcon prepare for the future and sustain growth. Beyond the immediate health of the Exchange and Active Directory systems, the data allows for better decisions toward additional services and expansion. It has now rolled Mailscape out worldwide and continues to add new once-independent locations. Mailscape's one-look dashboard is an intuitive, visual approach to monitoring Exchange. Monitor all your environments’ vital components with a quick glance at a single screen, even from your phone or tablet. Empower your help desk and enable them to improve SLAs. Mailscape's reporting provides both the real-time data and historical trending you need to optimize system performance, improve service levels, gain clear visibility into the messaging infrastructure, and plan for the future. Mailscape is equipped with over 220 reports out of the box and is easily customizable to meet your organization's specific needs.